With a “perfect” high-school grade-point average of 1.0 and a few minor run-ins with the law as a teen, Alan Lizotte wasn’t certain what his future held. He served in the U.S. Navy for four years during the Vietnam War, then took remedial courses at a Massachusetts community college. Things began looking up when a professor there arranged an interview for him at Brown University. Lizotte received “a free ride” to the Ivy League school, where he studied sociology, developed an interest in criminal justice, and graduated with honors. The experience “changed my life,” says Lizotte, who completed master’s and doctoral studies at the University of Illinois. Now, Lizotte and his wife, Lisa Jackson, are making a planned gift that promises to change the lives of graduate students at the University at Albany’s School of Criminal Justice. It will also preserve and enhance the school’s reputation for excellence. “UAlbany’s is the first – and best – school of criminal justice in the world,” asserts the Distinguished Professor. and the 300-plus Ph.D.s educated there since its founding in 1968. Since arriving at UAlbany in 1985, Lizotte has mentored “at least” 30 of those doctoral students. He’s also been involved with the ground-breaking Rochester [N.Y.] Youth Development Study (RYDS), a multi-generational study that explores the causes and consequences of delinquency and drug abuse in an urban sample of teens and young adults. As dean, Lizotte had accompanied University at Albany development officer Michael Boots on visits to prospects. “I wasn’t embarrassed to ask for money,” he says, adding that he “took a couple of development courses” to enhance his fundraising skills. In fact, Lizotte was so persuasive at presenting the school’s case that he and Jackson have earmarked their planned gift for graduate-student research. “I’m at the age now where I have to withdraw money from an IRA every year,” explains Lizotte, 70. The funding will go into a trust to be left to the University. 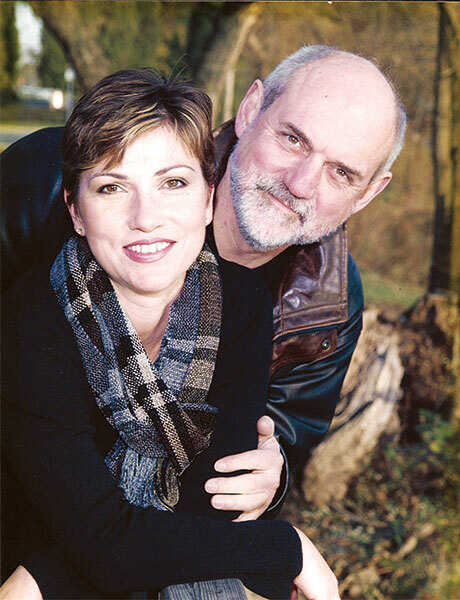 The couple’s pledge was timed to coincide with the midway point of the school’s capital campaign – “putting it over the top” – and with the start of SCJ’s 50th anniversary. Events planned for the celebration “will bring alumni back” while assisting Lizotte’s successor, alumnus and Dean William Alex Pridemore, Ph.D.’00, to raise money for the school. 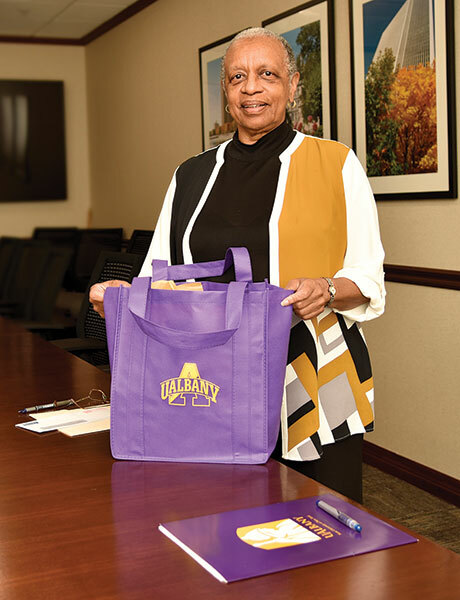 Helping Others to "Dream Bigger"
UAlbany magazine is published twice a year for alumni, parents, faculty, staff and friends of the University at Albany, State University of New York. Our objective is to produce a lively, informative publication that stimulates pride and interest in UAlbany.